If you’re planning a move to the Netherlands or you’ve recently arrived then this compact little Dutch Ditz is just for you. A swift and entertaining read, it cuts straight to the chase with everything you need to know about the Dutch family living next door and their weird and wonderful language, habits and customs. If you think they can’t be that different to your old neighbours at home, then think again. Who is Sinterklaas? What is a frikandel (just don’t ask what’ in it)? Does everyone really have supper at 6pm? And why the national obsession with orange? These are just some of the questions you will ask yourself as you become acquainted with Dutch life. Everything from basic etiquette (or lack of it), to the Dutch approach to fashion, pets, food, birthdays and children is explained and will make your introduction to this quirky little country a little less baffling. Without some kind of experienced commentary on the Dutch psyche and rituals, you’ll spend a stressful first few weeks wondering if your new friends and colleagues are astonishingly blunt or just plain rude and why on earth is a ‘Coffeeshop’ not a coffee shop? More critical issues like healthcare and doing business in the Netherlands are also touched upon and will provide you with a basic understanding of how the systems work. 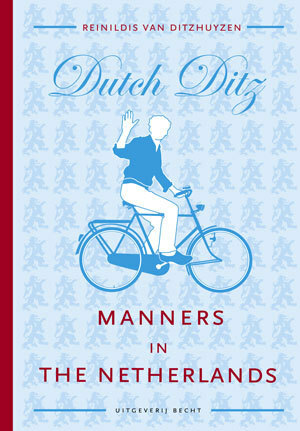 Reinildis van Ditzhuyzen, also known as the ‘Queen of Manners’, consulted and surveyed expats of all different nationalities to compile this comprehensive and sometimes tongue-in-cheek guide to living in the Netherlands.